Shopping for a vehicle is not as straightforward a task as it may seem. Not only do you have to find a reliable used car, you must also determine how you will pay for it, locate a reputable dealer and secure financing. Luckily, millions of people like you have been in this situation before. Virtually everyone would agree that completing some important advance preparation is the most valuable piece of advice that should be followed. You can then be assured that you will be able to choose from several different car loans in Wentzville at the most affordable rate. Pinpointing the lowest APR or annual percentage rate for your loan. This can save you a great deal of money over the term of the loan. Even though you will pay less per month on a longer loan, a shorter term can help you build equity faster and save money in financing costs. While a 15% down payment is fairly standard for most used vehicles, if you can afford to pay more, do it. This can be cash only, trade-in only or a combination of both. Shop your auto loan at competing dealers to see who will give you the best rate for your credit rating. Choose from a variety of pre-owned trucks, cars, SUVs and pre-owned mini-vans for sale. 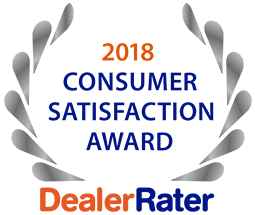 5 Star Auto Plaza is a St. Louis area leader in premium used vehicles and affordable car loans in Wentzville. Call us today at (636)940-7600 to learn more.